Brainwavz B100 Review - Not the usual design. Recently Brainwavz announced a new segment in their Earphones saga, the "B Series." These new series supported earphones are supposed to produce high-grade audio by utilizing an advanced Balanced Armature Speaker technology. 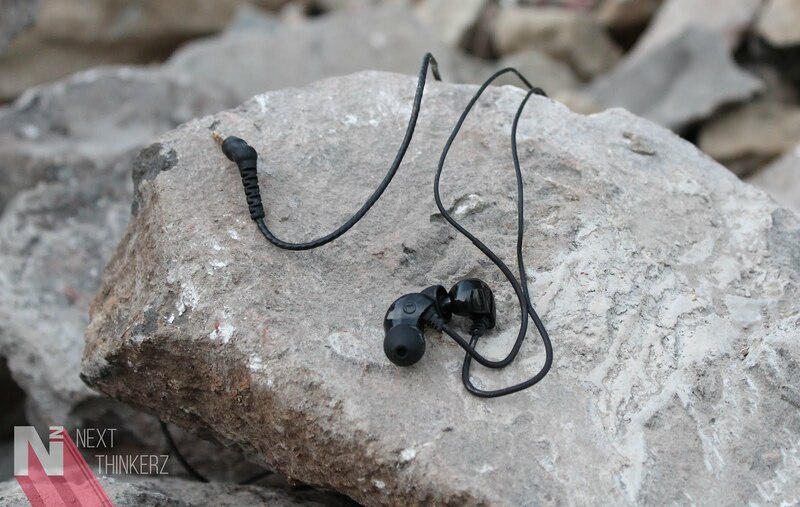 Well for us, It is another day, another time where the company sent us their latest earphone "Brainwavz B100". while looking at the price, it seems like the company has wired alternatives for BLU & Delta series which we have tested and loved so far. So after using the B100 for more than almost a month, here is my detailed Brainwavz B100 Review considering whether the balanced armature tag suits for itself. It has a rated impedance of 50 ohms. It operates under frequency range ranging between 15 Hz to 22 kHz. Sensitivity level is 110 dB at one mW. Has 1.3m Y-cord OFC Copper cable with 3.5mm gold plated audio connector(45-degree angle). 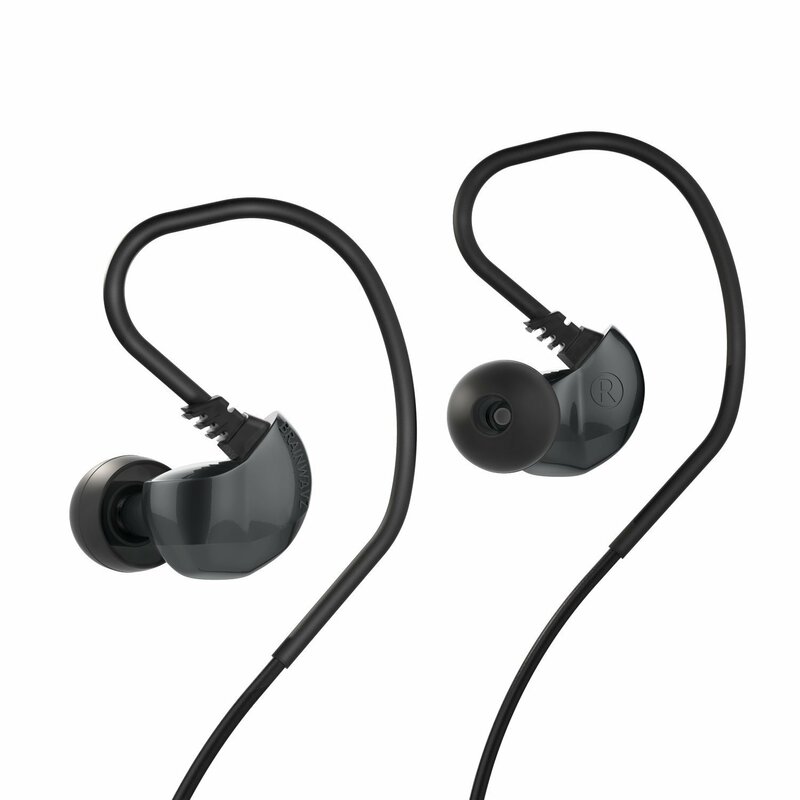 Brainwavz claims that the B Series is the most affordable earphones in India to have Single Balanced Armature. The design of the B100 earphones at first glance might be a bit different to swallow, especially when you look at the main units. While I am saying this since they are meant to be snapped over the ears only. Therefore you would need a bit of a learning curve here, though it will not be an issue since the large units would make you understand that implementation. These are comfortable and fits in snugly, while the tangling gets reduced to the over the head mechanism which comes into the play. The B100 tend to have a big unit which by no means is heavy due to the plastic build, though the big size inculcates the "Balanced Armature Sound Mechanism." The same central unit design does not feel appealing at all and won't exude that premium touch. If you head down, the cable seems to be made of a premium material with a matte feel all over, which is about 1.3 meters long. As suspected from the official specs, Oxygen Free Copper cable plays its part here. However, again there's simply a Y-Cord extension in between the main units and the audio connector. The absence of an in-line mic particularly at such kind of a price seems depreciating from a user's point of view. Also, the last thing which I prefer on any earphone is a straight audio connector, since the user experience stays throughout while sliding your phones in and out from your pocket. However, the Brainwavz B100 does not chase that league since the 45-degree audio connector can be a bit of a mess, as the audio plug might come out while drifting through your pockets for changing tracks. The primary focus of this earphone would be a solid punchy bass, in my opinion, whereas Vocals are crisp, while rest seems a bit flat to my taste. The company has boasted the single balanced armature feature a lot & it seems prominent after my usage. It means that the drivers inside the Brainwavz B100 earphones amp up when they get connected to specific devices. The sound you might hear when attached to a phone, laptop or any audio equipment will have different sound stages. Though most of such technical stuff depends on the audio format, higher that bit-rate better the output. The Highs & Lows seem satisfying, though according to me consistency was not observed. That got usually followed when I tried audio tracks which had heavy bass & where the usage of instruments filled the track on the heavier side. Overall we were happy with its performance & It seems like with the new B series, Brainwavz has hit the sweet spot. So inside the B100 Box, you would find a Hard Shell case which is a bit elongated from the usual one we have received in the past. Speaking of which it houses - Six set of silicone ear tips(S, M, L), a single set of Comply Eartips, a shirt clip, velcro tie & some warranty paperwork. Since we are on the that, the Brainwavz B100 gets two years of warranty. It is available for Rs.4199 INR on both Amazon & Brainwavz's official website. Links to buy - Amazon. 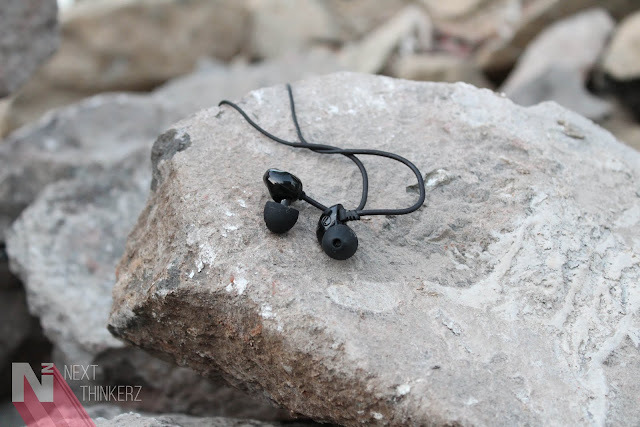 Brainwavz B100 Review: Our Final Thoughts? A crispy output considering vocals, a good bass performer, striking design aspect make it a good choice for the price. However, I would not mind having a metal built & an In-line mic for the price at which it gets currently sold. However, looking from an overall perspective, the Brainwavz B100 might just suit the needs of any audio head who wants to try something new, simply consider the balanced armature sound in this case. Also, check - Brainwavz BLU 200 Review.